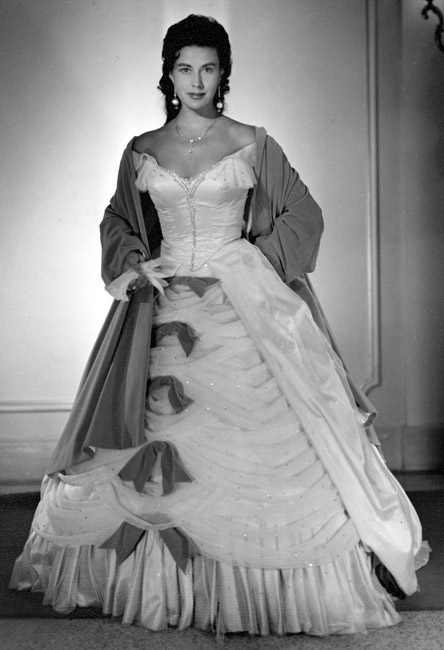 Swiss-born soprano Lisa Della Casa, whose performances of Mozart and Strauss won her wide acclaim as one of the finest sopranos of her generation, has died at the age of 93. The Vienna State Opera, where she had given more than 400 performances, said she died on Monday in the northern Swiss town of Muensterlingen. Salzburg Festival President Helga Rabl-Stadler recalled Della Casa's performances as "sublime moments for which she was celebrated by audiences and critics." Della Casa was born near the Swiss capital Bern in 1919 and later trained in Zurich. She first performed in 1941 in the Swiss town of Solothurn-Biel, in the title role of Madama Butterfly - she was only 22 years old. Her storied career took her to many of the world's great opera stages. With her Covent Garden debut as Richard Strauss's Arabella in 1953, she became identified for the role because of her singing and her beauty. That same year she debuted as Countess Almaviva at the Met and went on to appear over 100 times. After her retirement in 1974, she lived with her husband, Dragan Debeljevic, whom she married in 1949, at their castle on Lake Constance in northern Switzerland.